4, 3, 2, 1 ... Blast off! 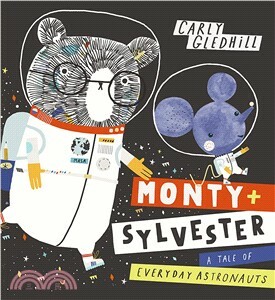 Monty and Sylvester have been in training (for at least 20 minutes) for a very BIG challenge: the first mouse and bear mission to outer space! Will they discover a new planet? Will they encounter alien life? Or will this be one giant leap too far for the intrepid duo...? A laugh-out-loud tale about friendship, the imagination . . . and moon cheese.